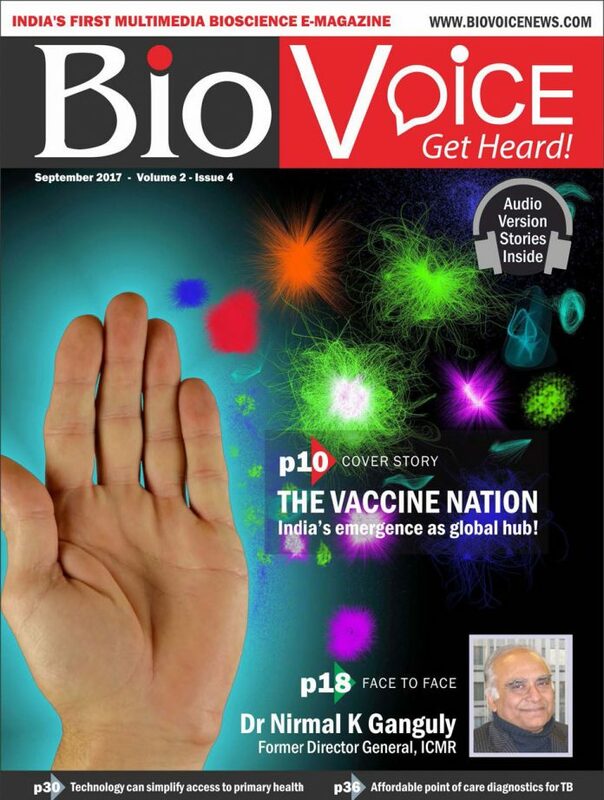 The ‘September 2017’ edition of BioVoice magazine in its detailed ‘Cover Story’ focuses on the India’s rising vaccine power and how we are moving to the centre stage of global vaccine production map. 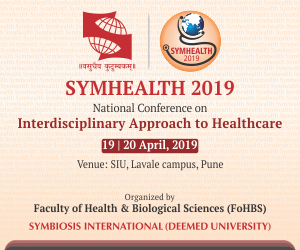 The ‘Face to Face’ features top health administrator and former Director General of Indian Council of Medical Research (ICMR,) Dr N K Ganguly who shares his opinion on India’s biotech industry and other bioscience issues. The ‘Special Startup Series’ features the Pune based startup, Annweshan SciTech that is developing a game changing technology to detect Tuberculosis. The two ‘Expert Corner’ articles this time focus on the Indo-Israel collaboration on health technologies and need for making oncology treatment accessible for masses respectively. In the BioChat’, Manasije Mishra, Managing Director, Indian Health Organisation and Aetna India shares his detailed opinion on various healthcare issues in India besides the work his organization is playing in India.